Individuals often find relief knowing that others are experiencing what they are going through. 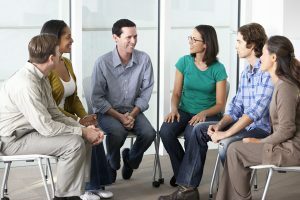 Group therapy can provide an added benefit to individual therapy, or a cost-effective way to obtain knowledge and services from a highly trained professional. Our groups are highly informative, but also often fun, and a great way to connect with others who are working through similar circumstances or experiences. *Please call for scheduling and pricing.